Raymond “Ray” Kurzweil born February 12, 1948 (website) is an American author, inventor and futurist. He is involved in fields such as optical character recognition (OCR), text-to-speech synthesis, speech recognition technology, and electronic keyboard instruments. He is the author of several books on health, artificial intelligence (AI), transhumanism, the technological singularity, and futurism. He has a track record for forecasting technical advances well in advance including, to the year, when a computer would beat the chess world champion! His explanation of technological exponential growth leading to singularity is incredibly frightening & exciting at the same time. In 40 years the advancement of an IBM computer to a mobil phone is 1 Million times cheaper, 1000 times smaller & a 1000 times more powerful. That’s exponentially a 1 billion times increase in price performing computing. It took 400 years for 25% of the population to have access to printed material, it took 50 years for the same number to have a telephone, 7 years a cell phone , 3 years social networks and blogs and 2 years to twitter. This is the power of exponential growth. Technology is doubling each year which means every 7 years we are over 100 times more advanced i.e. I attach a great intro to this very interesting man. Nikolas Tesla. Ever heard of this man? Don’t worry you are not alone, even though he invented some of the most basic thing in our lives today such as, alternating Current (AC), Radio Communication, and Fluorescent Lighting. I hear you say didn’t Marconi invent the radio? So why is Tesla such an unknown inventor? 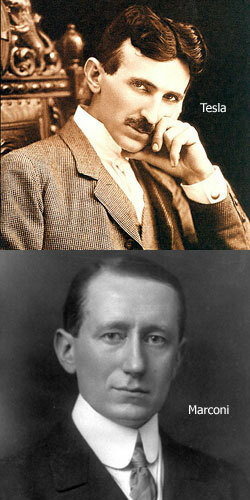 Why did we learn about Marconi and Emersion when it was Tesla who was the greater of these inventors? Nikola Tesla was Thomas Edison’s rival at the end of the 19th century. In fact, he was more famous than Edison throughout the 1890′s. His invention of polyphase electric power earned him worldwide fame and fortune. In total, Nikola Telsa was granted more than one hundred patents and invented countless unpatented inventions. Tesla was a visionary and like most geniuses, such as Beethoven, he could visualise in his mind the finished work before he had started it. Although he was at one stage a multi millionaire he died literally a pauper. His forte was not business. Money was only a means to an end to allow further invention. His life’s purpose was to better the quality of human lives through technology. Nikola Tesla – Mystery Invention. Ten years after patenting a successful method for producing alternating current, Nikola Tesla claimed the invention of an Electrical generator that would not consume any fuel. This invention has been lost to the public. Tesla stated about his invention that he had harnessed the cosmic rays and caused them to operate a distant device. I attach a documentary on his life, and inventions explaining why an invention to generate energy from the atmosphere, allowing transmission around the would without cables never saw the light of day. We’ve arranged a global civilization in which most crucial elements profoundly depend on science and technology. We’ve also arranged things so that almost no one understands science or technology. We might get away with it for a while, but sooner or later, this combustible mixture of ignorance and power is going to blow up in our faces. 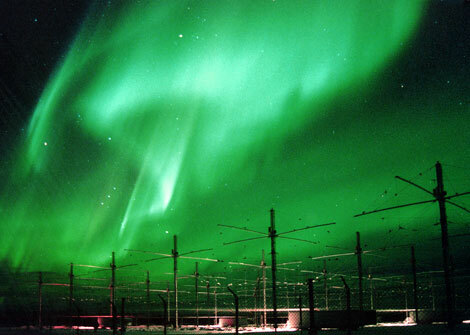 Using HAARP, the military can focus a billion-watt pulsed radio beam into our upper atmosphere, ostensibly for ionospheric research. This procedure will form extremely low frequency waves and send them back to the Earth, enhancing communications with submarines and allowing us to “see” into the Earth, detecting anything from oil reserves to underground missile silos. However, statements and claims from several HAARP researchers indicate that this mechanism can and does pose many dangers, including blowing thirty-mile holes in the Earth’s upper atmosphere. They also warn of possible disruption of the subtle magnetic energies of our Earth and its inhabitants. Holes in Heaven? is a prime example of grassroots filmmaking by producer Paula Randol-Smith and Emmy-winning director Wendy Robbins. Narrated by Martin Sheen, the documentary, investigates HAARP, its history and implications, and examines the dangers and benefits of high and low frequencies and of electromagnetic technology.